All 22 Petco promo codes have been verified and tested today! To see what’s available near you, click the “Find A Store” button on the Petco homepage. Enter your location, and you’ll see a map view of the stores nearest to you, as well as the pet care services that they offer. The program is free. You can get started by signing up for a Petco account. It’s just that simple. Don’t want to pay shipping on your order? As long as you spend at least $49, you won’t have to. All orders from Petco over $49 will be sent with free standard shipping. When it’s time to checkout, just make sure your pre-tax total is over $49, and that you select “Standard Shipping” to avoid shipping fees. You can save up to 20% on your first order of top Petco products when you sign up for repeat deliveries. In addition, all repeat deliveries qualify for free shipping. To get this deal, simply select the "Save with repeat delivery" option on the product page or in your cart, and choose the quantity of the item, and how frequently you’d like it to be delivered. That’s it! Then, you can select between deals for dogs, cats, fish, small pets, reptiles and birds – and view all of sales, promotions and coupons that are being offered by Petco. Found a Petco coupon code you’d like to use? Not sure how to redeem it and save? Here’s a quick guide on how you can use your Petco promo code online. That’s all there is to it! Start filling up your cart, find a coupon from CNN Coupons, and get more for your money. Change your mind about that organic pet food? Need a bigger dog bed for your Great Dane? Whatever the reason may be, it’s easy to return your items to Petco. You can return your order by mail within 60 days of the initial shipment date, either to a local Petco store, or to the Petco distribution center. To return your items at Petco, simply print out a copy of your receipt and order details, and bring your items with the original packaging. Orders without a receipt will be refunded for merchandise credit. If you want to save big on items at Petco and qualify for an exclusive Petco coupon, make sure to sign up for the Petco email list. To get started, just head to Petco.com. Then, scroll all the way down the page, and find the “Sign Up” section in the navigation footer. Enter your email in the “Email Address” field. Wondering what savings you can get at your local Petco store? You can browse all of your local offers from the Petco website. Here’s what to do. Whether you’re shopping online or in-store, Petco makes it easy to save on everything you need for your pets. The Petco app is a great new way to shop at Petco. It makes shopping easier, faster, and more fun with personalized profiles for each of your pets. Once you log in, you can create a profile for each of your pets, edit their preferences, and customize product recommendations for each furry member of your family. Then, you’ll be able to quickly shop from a curated list of products, reorder your past purchases, or discover new items. You can also see nearby Petco stores and service options, such as veterinarians or groomers. 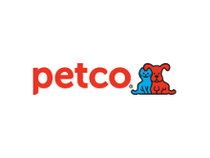 The Petco app is available for iOS on the App Store, and for Android on the Google Play store. Take a look now, and save.